Whether you are an employer, want to check out your own driving record, or want to see if your child has gotten pulled over by the police, you may find yourself needing to put in an Arizona driving records request. There are a number of ways you can do this, depending on your level of comfort with technology. 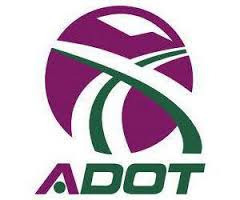 To access the Arizona MVD follow the link above and download the appropriate Arizona driving records request form. This used to be your only option for filing a request: going into the MVD, waiting in line, and filling out a form. If you’d prefer to request a driving record this way, you can, but the MVD is generally well-known for longer wait times than most establishments. This may be a good option for those who don’t have access to the internet. The other options listed below are generally more efficient and still yield accurate results. and Sunday from midnight to two a.m. If you’d prefer to bypass the MVD altogether, you can look up driving records using a public records database search. With this search, you will often need less information than you will for a MVD search. You may be able to find a person’s driving record if you are unsure if they are licensed in Arizona or another state as well. Though this search is easier accessed than most MVD searches, it is still completely legal under the Freedom of Information Act. This search can let you figure out someone’s record, and often with less hassle than a MVD search. It is important to note, though, that most of these records are for informational purposes only. If you need an official copy, you’ll need to visit the MVD, usually in person, and get an official copy. In most cases, however, the online copy is satisfactory, and it takes less time to get.